Fred is responsible for identifying and negotiating new project acquisitions. Fred is finishing (Spring 2018) a Master's in Real Estate from the University of Washington and earned a Bachelor's in Accounting with a Real Estate & Finance emphasis from the University of San Diego in 2012. 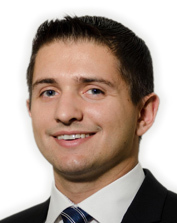 Prior to graduate school, Fred spent 5 years working in real estate as an Investment Sales Broker and Asset Manager. A thorough understanding of the development process, strong analytics, teamwork, and an open and honest nature underpin Fred's passion for real estate.